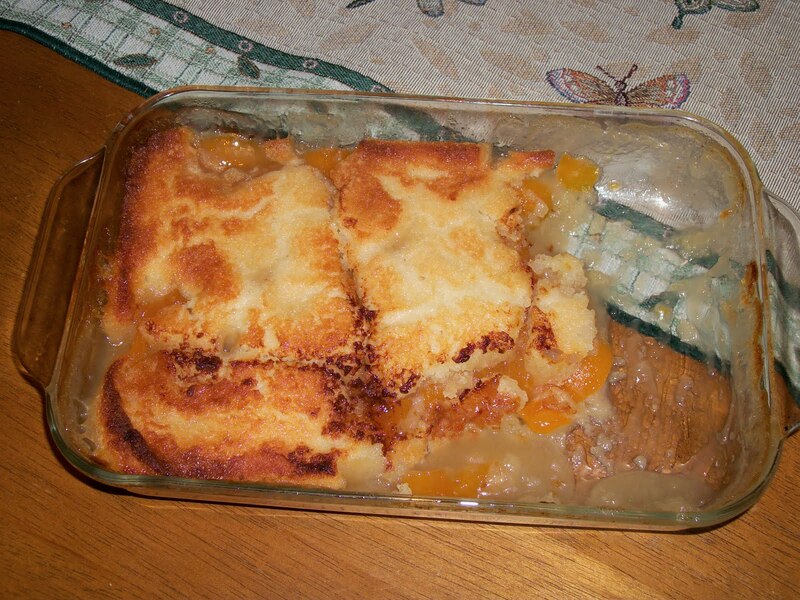 I had been wanting to try and make peach cobbler for some time, and I had some extra peaches that I needed to use, so I thought this would be a great way to get my fruit serving for the day. I got this recipe from the Paula Deen cookbook The Lady and Son's, which I picked up at her store in Savannah, GA. It was so delish, I ended up eating some before we even got a picture. Mix peaches, sugar and water together in a saucepan. Bring mixture to a boil and then simmer for 10 minutes. Stir often, making sure the sugar is completely dissolved. If you don’t have fresh peaches, you can use 1 (28-oz) can of sliced peaches in heavy syrup, un-drained. Bake for 30 to 45 minutes or until golden brown (I baked mine for 45 mins). Your batter will rise above your fruit, producing the most wonderful of crusts. You can serve warm with vanilla ice cream or fresh whipped cream, but it was just as good without! Hi! Visiting From Mingle Monday! I love your blog! I'm always looking for new recipes! When the first two posts I see have to do with Paula Deen and Bethenney Frankel...I know I'm going to love it! So cute! Check me out at: www.poodleism.com! Yumm! Stopping by from Mingle Monday...I love peach cobbler/crisp/pie/shakes. Basically anything with peaches in it! Your other food looks delicious as well...now following! hey it's che from mingle mondays! 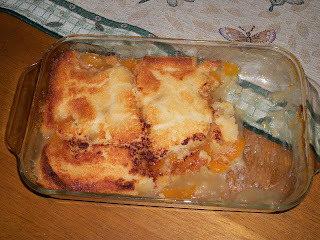 the peach cobbler looks and sounds so delicious. Anything PAULA DEEN cooks is sure to satisfy. I'm going to start following you since I'd like to one day be able to cook. Unfortunately I'm a full-time working student on the go So i get what I can these days..lol stop by my blog if you wish hun! This looks amazing, love your recipes and i love anyone who loves Bethenny like I do! I'm here from Mingle Monday, so happy I found you! This looks delicious! I am going to give it a try! Love your blog! !